Barcelona mayor Ada Colau lost a key vote of confidence in the city’s municipal assembly last week, triggering a 30-day countdown in which opposition parties could band together to force a no-confidence vote and oust the former-activist-turned-mayor from office. Colau, a former housing rights activist who came to power at the head of a Podemos -backed progressive coalition in May 2015 municipal elections, has found her governing Barcelona en Comú movement increasingly isolated in recent months as allies of both the right and the left have grown dissatisfied with her policies. In November, the mayor chose to unilaterally break off a fragile alliance with the local affiliate of Spain’s Socialist party (PSC-PSOE) in protest over the Socialists’ support for intervention with direct rule of the region of Catalonia by the national government in Madrid. Last month, her former Socialist allies responded by voting against Colau’s proposed municipal budget, leaving her no choice but to call for a vote of confidence to remain in power — a vote she lost on Friday. 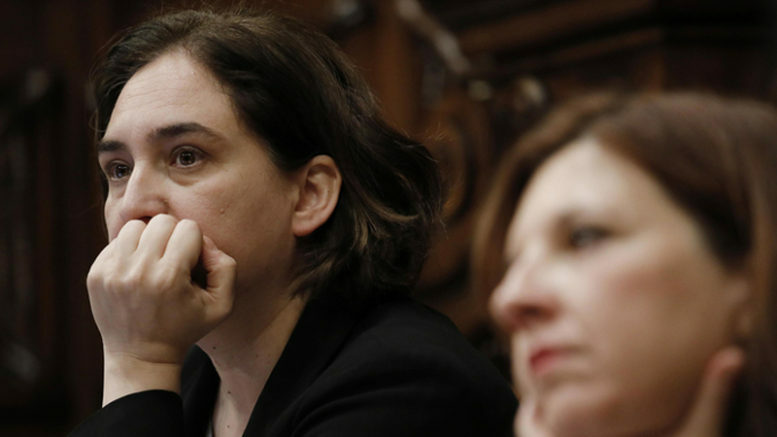 Although opposition to Colau’s government from parties of both the political left and right remain divided over the question of Catalan independence, her opponents now have 30 days until 2nd March to figure out a way to cobble together enough votes to pass a motion of censure that would oust the mayor after a little more than two-and-a-half years in office. If they cannot muster the votes, Colau will remain in power, but will face increased difficulties in passing her budget and other key legislation.